From custom ski-in/ski-out homes in a world class ski resort area to 100-year old remodeled homes nestled in historic downtown, Telluride is one of the most beautiful places on earth. 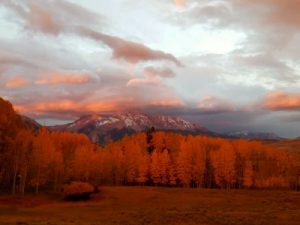 Despite these internationally recognized amenities, Telluride remains a small town with a small town feel… making Alpine Lumber Telluride unique. Many of our employee owners here have relationships with other professionals in the building community that go back decades. We can communicate with our customers on a personal level to understand their needs, solve problems and increase efficiency. We support customers in a high end custom building environment, providing supplies from a full line of engineered wood products and the highest grade framing lumber products, to an extensive hardware store and professional paint department. Additionally, we special order hard to find hardware and materials for our customers that we may not have in stock. 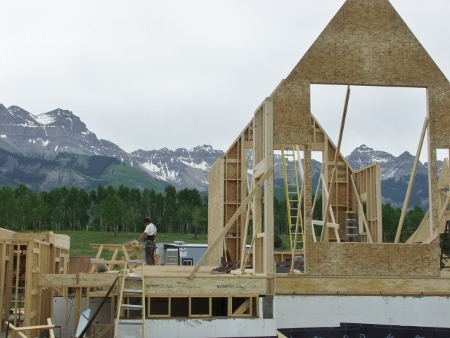 We are part of a whole local team that gets a custom home built from start to finish.